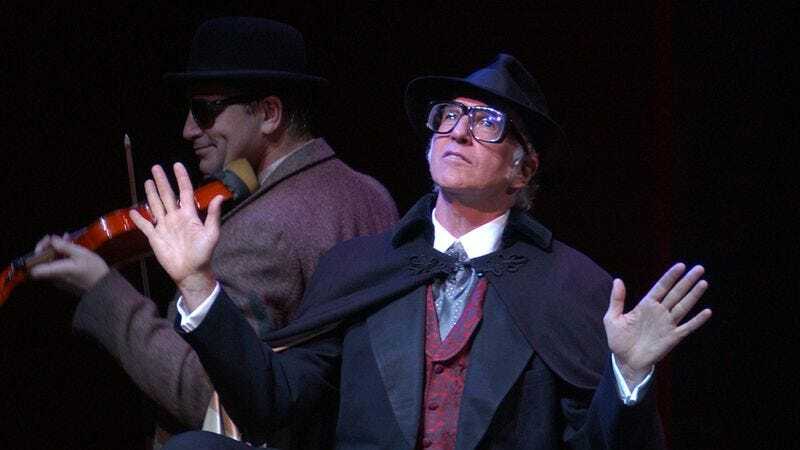 Possibly validating that time Larry David was forced to talk to Roger Friedman at a party, Roger Friedman reports over at Showbiz 411 that Roger Friedman was absolutely correct when he said Larry David had written a Broadway play. Though details are scarce, Friedman says the show is titled Shiva—as in the Jewish period of mourning, not the Hindu deity—and that David is producing along with Scott Rudin, though it’s unclear whether Jerry Seinfeld will be involved, as previously rumored. What is clear is that David will be taking on his first Broadway role on actual Broadway, reportedly at Rudin’s urging—possibly because Rudin is angling for a disaster that will get him out of the producers game altogether. Meanwhile, David will prep for opening night by engaging in a series of mishaps and misunderstandings that cause injury and insult to his co-stars, the sounds of comical tubas following him wherever he goes.